With growing security vulnerabilities, it is extremely important to have an external network security system in place which helps to protect your servers from rest of the world. 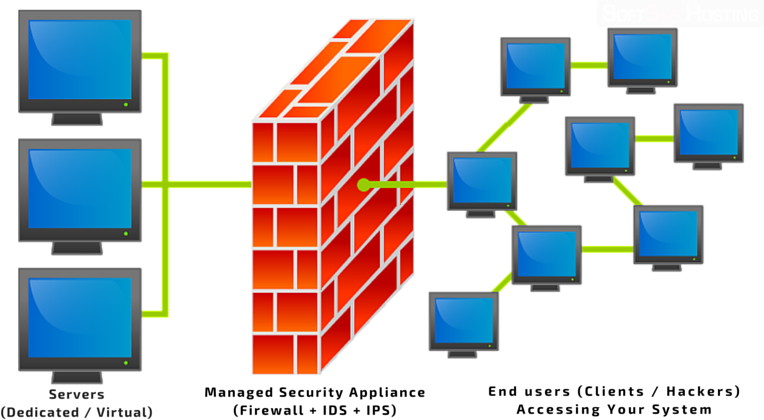 With our managed firewall, you will be able lock down your server and allow specific traffic only. Intrusion Detection & Intrusion Prevention Systems work on enterprise-class constantly updated rule sets which block access to your data from known exploits by network firewalls . If you are in need to having PCI-DSS certification for your website, online store or server, it is an absolute MUST to have this managed network security addon. HOW DO OUR NETWORK SECURITY SERVICES WORK? Without a network firewall, your server is like an “open door”. This typically makes your key business data or virtually any sensitive information on your server being available for hackers. Hackers can get in, take what they want, and even leave one of their own “back doors” in place for ongoing access to your server whenever they like. With external firewall in place, you can restrict access with fine tuned rules to allow traffic from known sources or to allowed destination ports only. This also helps in ensuring that your server and website is PCI-DSS compliant to process secure transactions and store sensitive customer’s data including their credit card numbers. 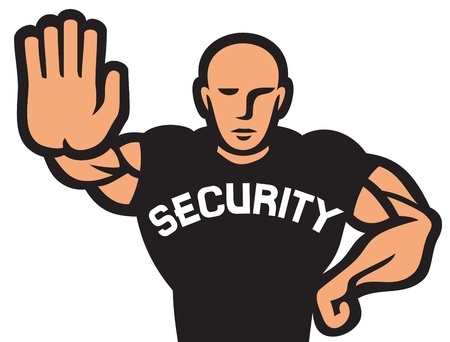 Intrusion Detection is a type of security management system for servers and networks. It analyses each packet passing within a network to identify possible security breaches or intrusions. Our enterprise-class IDS network security system works on 14000+ constantly updated rule sets and detects malicious attempts to access the server. It has the ability to detect patterns typical of attacks or abnormal activity patterns and reports such activities to Intrusion Prevention System to protect it instantly. After a possible security threat is detected by the IDS system, it is necessary to have a solution in place which blocks this access immediately to prevent your systems from being exploited. Intrusion Prevention System (IPS) immediately creates rules to block this malicious access and keeps your system safe & secure. Both of these systems (IDS & IPS) work closely with each other to ensure complete security for your server & website. Our security appliance is in place and works before traffic enters your servers. Hence, this ensures that any / all traffic entering your system is scanned and free from any known vulnerabilities. Managed Security add-on is available with all of our Windows Virtual Server plans – Basic & Fully Managed. Managed Network Security add-on is available with Linux VPS plans – CentOS, Debian, Ubuntu, etc.